THE City of Bayswater will write to the Carter family seeking an extension on its offer to sell wetlands at lot 14, 128 King William Street which expires tomorrow. 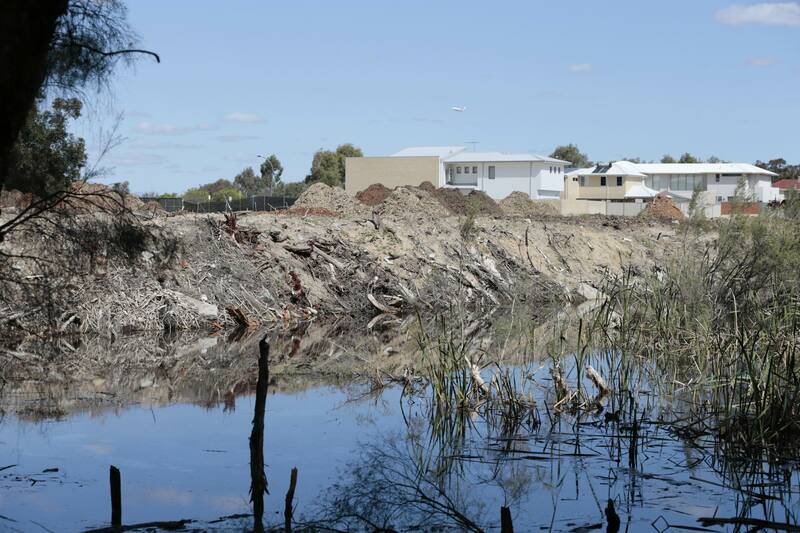 The site has been a source of controversy since July, after clearing works began at the wetlands, with residents unaware of the WA Planning Commission’s (WAPC) approval of the Skipper’s Row subdivision. Behind closed doors at a meeting this week, Bayswater council noted the formal offer from the Carter family for the City to buy lot 14 and moved to seek more time before it made a decision. The suggested purchase price is not known. The City will also continue to pursue the State Government to identify funding sources for the potential purchase “given that the City does not have an identified reserve available to meet a purchase price”. It will also write a “strongly worded letter” to the WAPC seeking an explanation for why the environmental assessment, used as a basis to approve the development on the D’Orazio land, “neglected” to refer to the wetlands lot. Mayor Barry McKenna said details remain confidential while negotiations were underway. “Council noted the price being asked for and decided to request additional time to consider the offer to allow us to undertake due diligence,” he said. Also at the meeting, No Houses in Wetlands member Deborah Bowie asked if Cr McKenna, councillors and staff knew that the D’Orazio block’s fire management plan puts the main emergency exit through a closed, gated community. She also asked whether they had read the agreement between Carter and D’Orazio owners for the cul-de-sacs and hammerheads agreements. Cr McKenna said he had not seen the agreement and negotiations were continuing on both sites. Fellow member Jacquie Kelly asked whether the City was aware no environmental impact assessment into the 50 trees cleared on the Carters site had been carried out. Cr McKenna said the WAPC were “well aware” of the clearing.